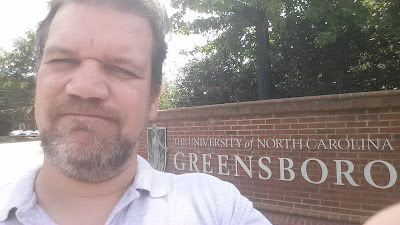 I went to a conference last weekend at UNC Greensboro, which provided me the opportunity to expand my geocaching map. I was also looking for other ways to expand my geocaching experiences. One cache on campus I was particularly looking forward to was "A Little Cacher Told Me". It's what's known as a "chirp cache" or "beacon cache". At the posted coordinates, there is a low-power radio beacon which broadcasts information used to find the actual geocache location. It requires specialized equipment to receive the beacon, but fortunately for me, Samsung loves to cram their phones with every type of sensor known to mankind. Unfortunately, when I tried loading the software, I found out that Samsung had accidentally disabled the sensor in their latest Android upgrade for my phone. Boo hiss. So no chirp cache, and no 4/2 difficulty/terrain combination for me. Undaunted, I looked up a cache near where I was having lunch. "Corner Garden" was a few blocks away. 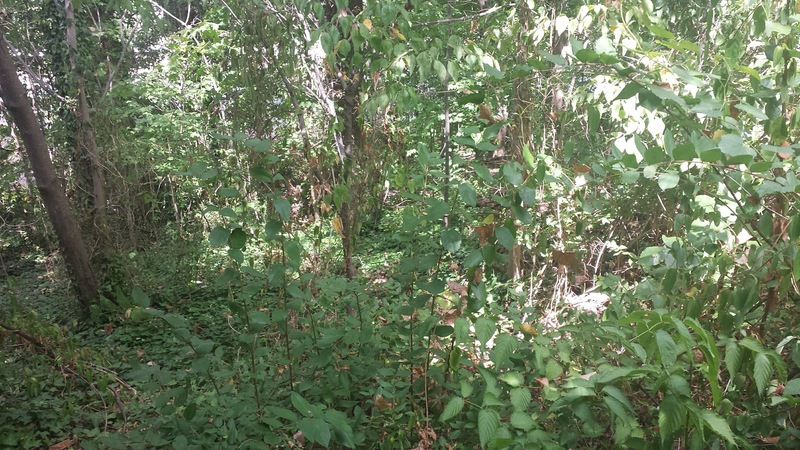 It was located, as one might surmise, in a community garden on a neighborhood street corner. (I keep forgetting to take pictures, which would punch up these posts.) I read through the logs from the previous finds, and one helpfully said "look for the chain", so when I saw a rusty chain lying on the ground, I pulled it out and found the cache attached. It really points out how many random things we see on lampposts and elsewhere that we don't give a second thought to. So now I could claim my 11th state. But wait -- it says I found 7 caches in NC. Yes, I decided to do a more thorough job of finding available caches. After lunch I found Peabody Overlook, which was in a quite nice wooded area on campus. It was nice to find an area in what was really quite an urban setting. Unfortunately, the cache was soggy, and one of the "trade items" was a condom, which is just gross. At least I thought to take a picture of the area! Then, that evening, I found Hop-Scotch. This is another "in plain sight" cache -- it's a tiny magnet on a handicap parking sign, right over the screw. The next day I found ATN Where's the Beef while looking for lunch. It was in a Chik-fil-a parking lot, so Sunday was the perfect time to grab it undisturbed. Unfortunately, the container was one of those plastic domes in which you get cheap toys out of vending machines. It was cracked, but the cache was still findable. So I found it and went to Popeye's. Then there was Off Your Rocker in Greensboro, NC. The "OYR" series consists of geocaches on Cracker Barrel porches, but was discontinued in 2007 due to Cracker Barrel's banning them. This one is from 2005, so it's grandfathered. It was a hide-a-key attached to whatever iron junk was on the porch. At difficulty 3, it was a little trickier than I am used to, so I was happy I was able to locate it. That day while grabbing dinner, I also grabbed ATN Return to Honey Do Valley. It was near a Lowe's, and it was an Altoids tin painted to look like the light pole it was wedged on. I am not thrilled when people place caches on electrical equipment, since it encourages poking around electrical equipment. 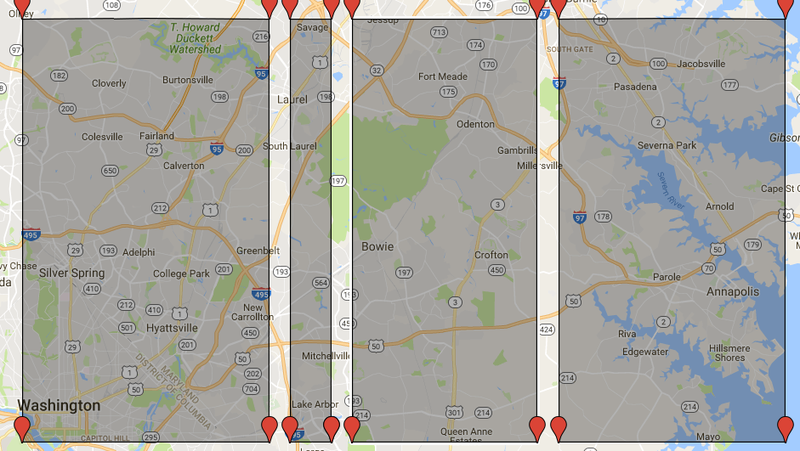 So that's six Greensboro caches -- but wait, it says I found seven in North Carolina. 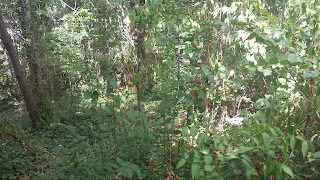 The next day, on the drive back, we stopped at a rest area which I noticed contained two caches. So while Christina got a break, I took the kids to find one of them. It was far enough off the paved surfaces so that it could be in plain sight without drawing too much attention. The kids were excited enough to search for treasure, and I got to add Granville County to my list of counties. So that's up to 28 counties. Only 3,114 to go! OK, now on to more dry statistics. Last time I checked, my difficulty/terrain averages were at 1.484756/1.423780. By focusing on slightly harder caches, I've bumped that up to 1.505814/1.427326. That takes me from the 0.2nd percentile to the 0.3rd. I reached a milestone here in a challenge I had not discussed here -- the Jasmer challenge. The challenge is to find a geocache placed in each month since the start of geocaching in May 2000. In North Carolina, I got up to 100 months (out of 197 so far). That's more progress than I thought I'd been making. 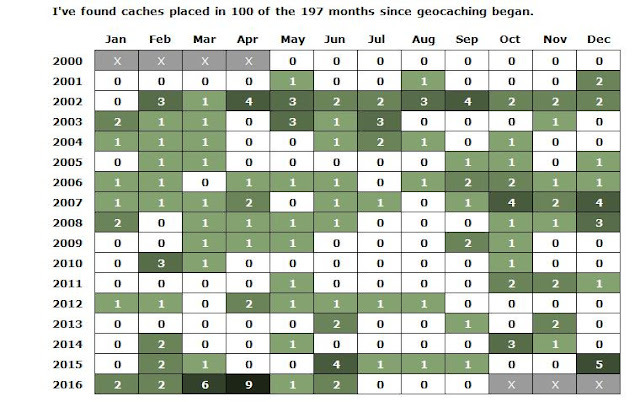 The older months are typically the hardest, so I may look for some particularly old geocaches the next time I travel. Last month, I made it up to 25 of the United States' 3142 counties (or county-equivalents). I'm pleased to say I've added Fairfax County, Virginia to that list, so I'm now at 26! This cache was also the first one I've found in West 77° 17', so that gives me the 10th minute in the West 77 Degrees Longitude Challenge. I am one-sixth of the way there! It has been exactly five years since I've checked in on my on-line go rating. What has happened? Well, looking at the above graph, it's been ugly. I quickly ascended from 15 kyu to 12 kyu, which I held for two days in February 2012, only to crash back down to 15 by January 2013. Since then, I've seen 14 kyu as well as 16 kyu a few times. My latest stint as a 14 kyu has lasted since June, so I'm going to take that as my ranking for this check-in, meaning that I've made 1 kyu of progress in the past five years. Not great, but better than regressing 1 kyu. I am trying to play more games against different people both to get a better sense of my skill level, as well as hopefully improving through practice.